The Jatiya Oikya Front accused supporters of the ruling Awami League of being behind the attack. Supporters of Bangladesh’s ruling Awami League Party allegedly attacked an opposition leader’s motorcade on Friday as it returned from a function in the nation’s capital ahead of December 30 elections. It was the latest example of the violence that frequently accompanies polling in the South Asian nation. Jatiya Oikya Front spokesman Latiful Bari told The Associated Press that the attack occurred while opposition leader Kamal Hossain visited a graveyard in Dhaka to commemorate the killings of intellectuals during the country’s independence war against Pakistan in 1971. The attackers vandalized several vehicles but Hossain was unhurt, Bari said. Police official Mohammed Selimuzzaman said police were sent to the scene of the alleged attack and were investigating. At least two people have died and dozens have been injured in different clashes across the country since election campaigning began Monday. Two supporters of the ruling party died when rival groups clashed after the campaigns kicked off. 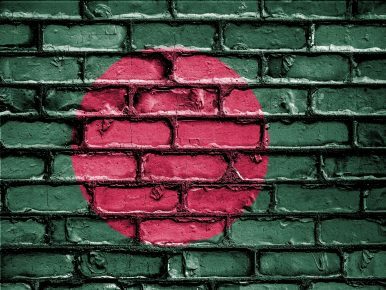 New York-based global rights group Human Rights Watch urged the international community in a statement Friday to press the Bangladesh government to create conditions for a free and fair election. Activists abroad and inside Bangladesh have long complained of forced disappearances – abductions by security forces – targeting government opponents. Bangladeshi officials strongly deny those allegations. The opposition says thousands of its leaders and activists have been arrested. Authorities say the arrests of opposition figures were not politically motivated. The leader of the main opposition Bangladesh Nationalist Party (BNP), former Prime Minister Khaleda Zia, is currently serving a jail sentence for corruption. Zia is the arch rival of Prime Minister Sheikh Hasina of the Awami League, but an appeals court recently ruled Zia was disqualified from running for prime minister. Violence is common around elections in Bangladesh. While clashes usually occur between rival political parties, infighting is also common after aspirants fail to win nominations. So far, however, there has been less campaign-related violence than in previous years. The opposition said such attacks are designed to weaken them ahead of the poll, while the ruling party has accused its opponents of trying to destabilize the election process, fearing defeat. Hossain has emerged as a strong challenger to Hasina since the BNP joined his opposition alliance front. Jamaat-e-Islami, the largest Islamist party in Bangladesh, has also joined the front. Most of its leaders have been hanged under Hasina for crimes stemming from the war for independence in 1971. Hossain, a prominent lawyer and a former law minister, is not contesting the election, but his party activity has mobilized a considerable challenge to Hasina, who wants to return to office for a third consecutive time. By Julhas Alam for the Associated Press with additional reporting by The Diplomat.